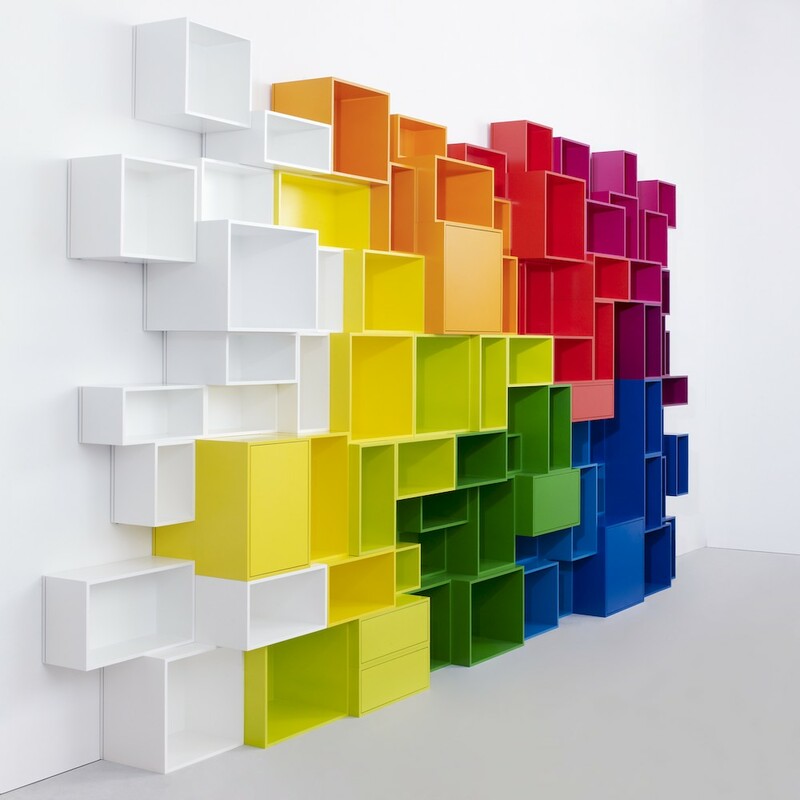 Cubit shelving is highly customisable and can be configured using an online tool. 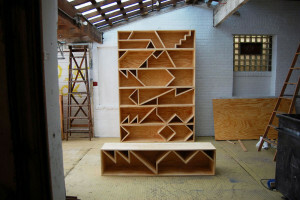 This configurator allows you to design a modular shelf made up of different units that come in a wide array of sizes. Previously the shelves were only available in plain white, then black was added, and now there are a total of 15 vivid colours to choose from as well as a premium walnut finish. 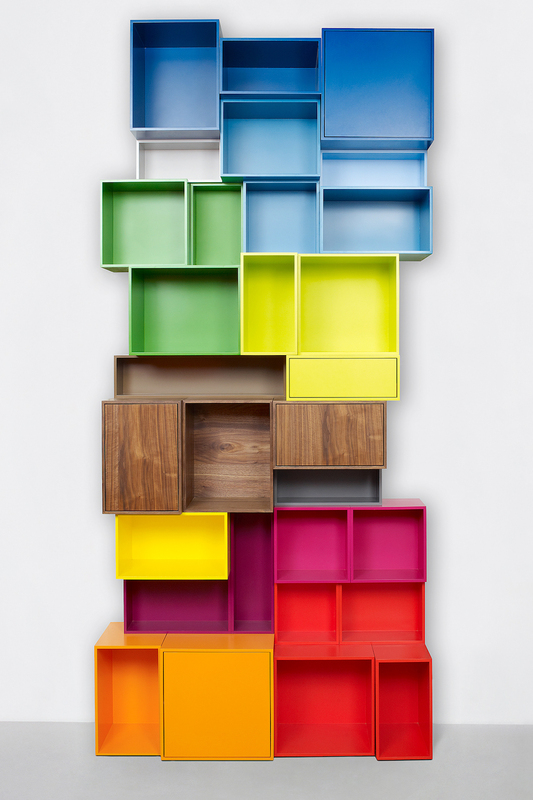 Cubit shelf units are made from MDF that is coated with a thick layer of semi-gloss lacquer. They come in variously sized formats and many of the options are specifically designed to fit particular storage media such as LPs, A4 papers, books, CDs and DVDs. However the boxes can of course house anything depending on what you choose to use them for. 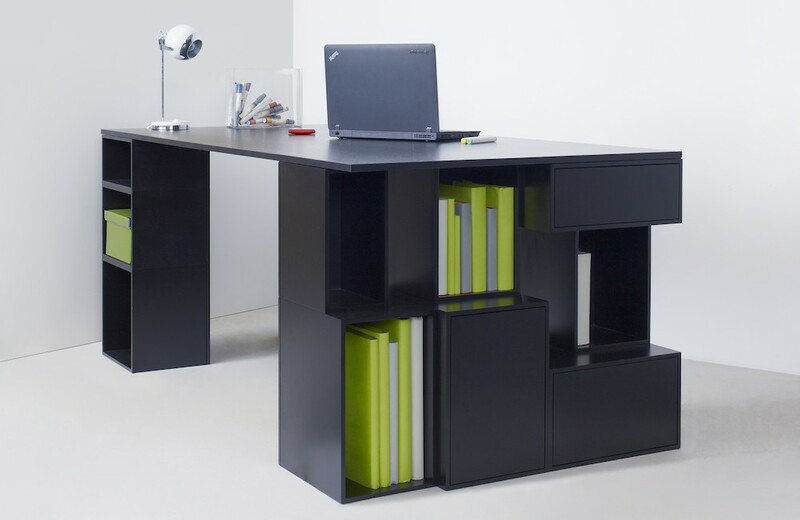 Individual Cubit modules might seem quite reasonably priced – starting at just under £20 – but the costs of Cubit shelf installations can quickly mount up, particularly when creating large configurations such as those pictured above. It could be an idea for Cubit to introduce some kind of tiered pricing offering bulk discounts to those creating these larger shelves. 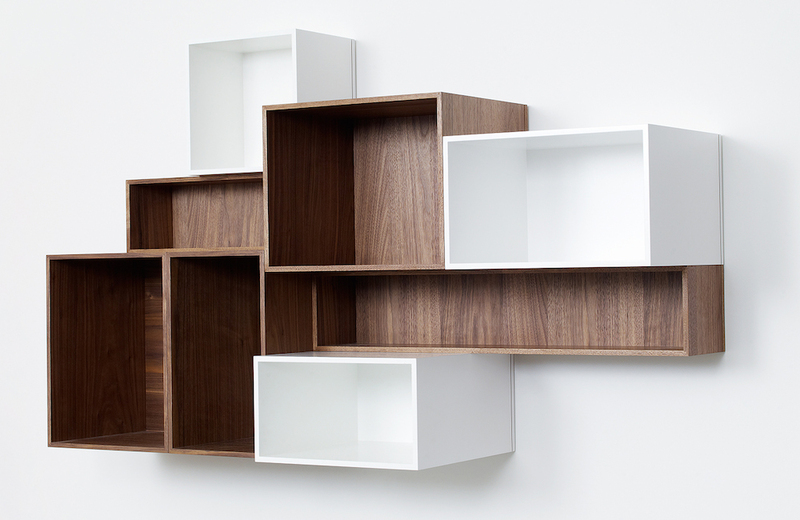 For example 10% off when ordering over 10 shelf modules or 25% off for those making a shelf with more than 20 modules. 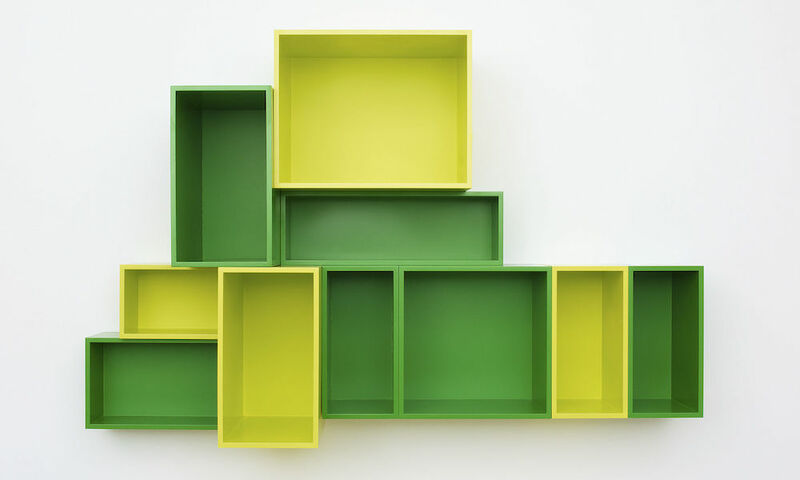 However I find that the medium sized configurations such as this floating shelf in green look better than the full wall installations and also serve to better illustrate the customisable nature of Cubit shelving with its rough, irregular shape. 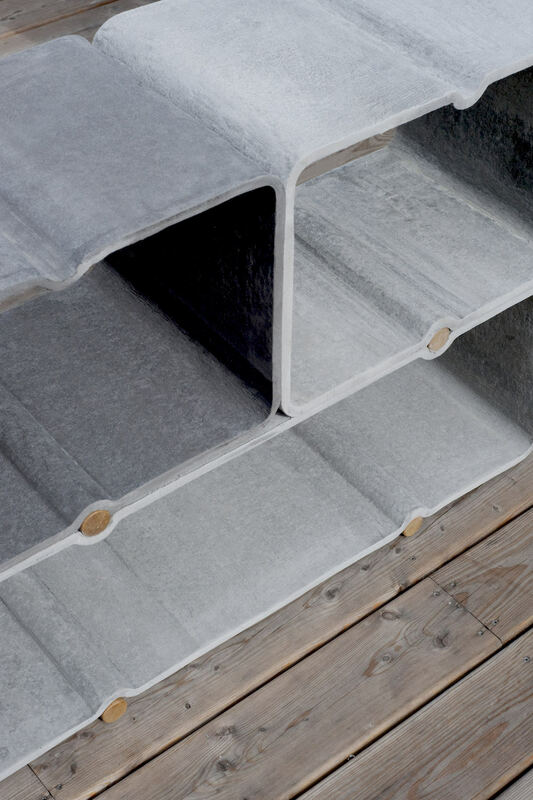 These jagged edges made possible by the array of sizes in which the shelf units come – and the freeform way in which they fit together – are what really set Cubit apart from Ikea Expedit shelves. 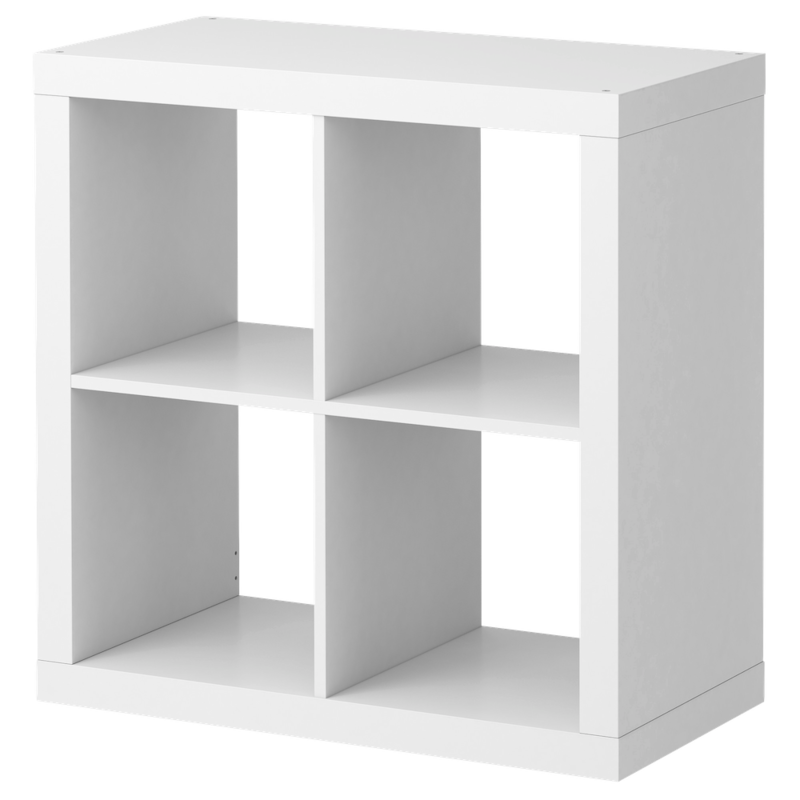 While we made some suggestions in a previous article about how you can customize Ikea Expedit shelves, it’s not really possible to change the overall shape of an Expedit shelf due it the thicker outer panels and the way the shelves fit together. These thicker panels are however due to be thinned down in the new Ikea Kallax shelves which are replacing Expedits in 2014. 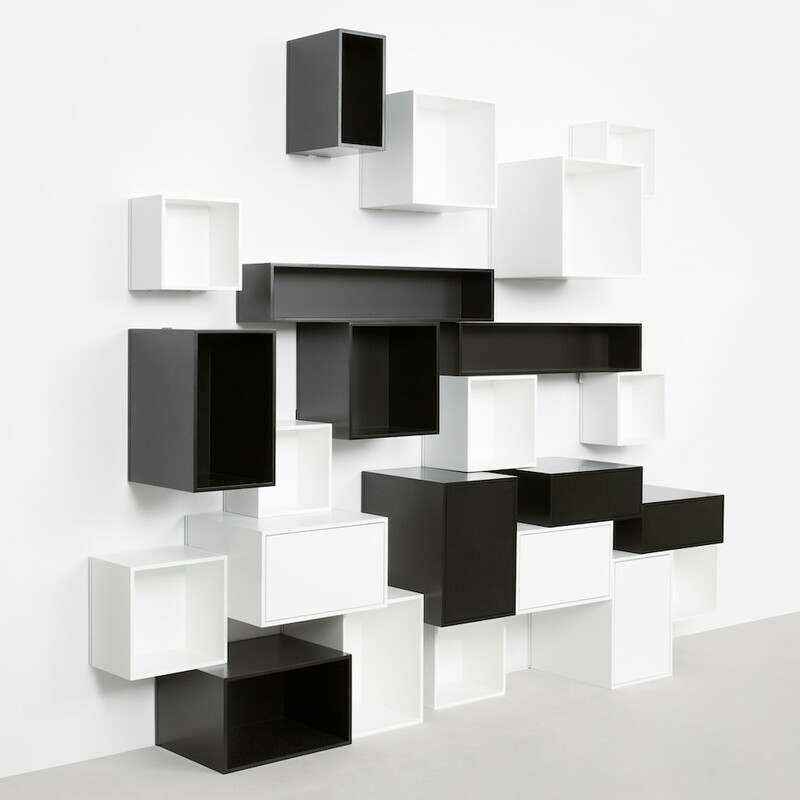 The configurable nature of Cubit shelving and the multitude of sizes available means it can also be used to create other furniture articles such as a sideboard cabinet or a desk. 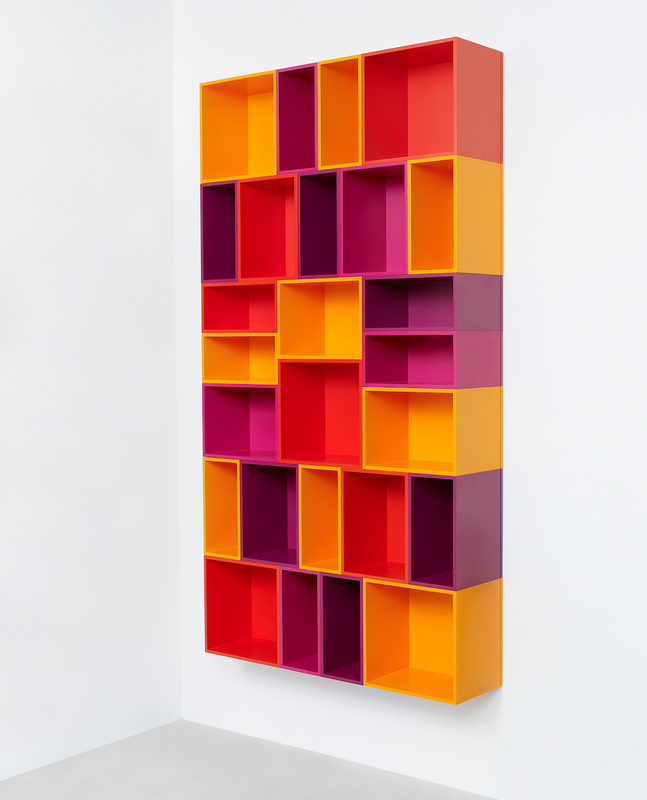 Some Cubit installations can end up looking misaligned, unbalanced and cluttered but I suppose this must largely come down to the skill of the person who configured the modular shelf using the online configurator tool. 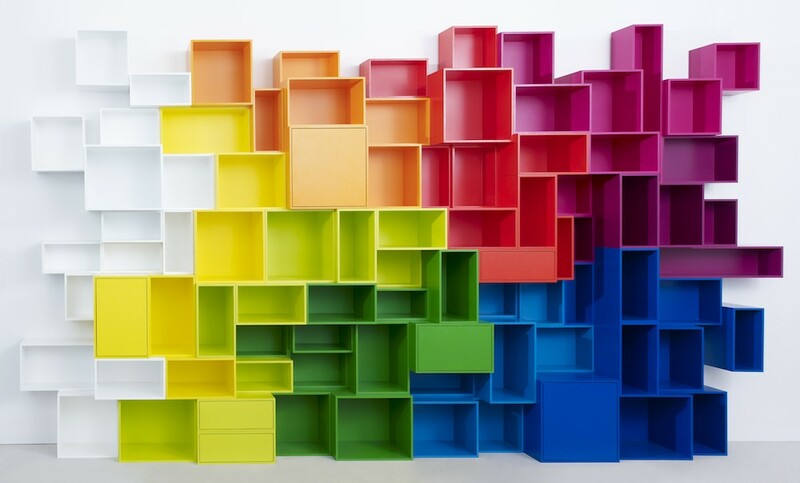 It could perhaps be useful if Cubit designed some templates you could use when buying their shelves as the option to customise might not appeal to everyone. 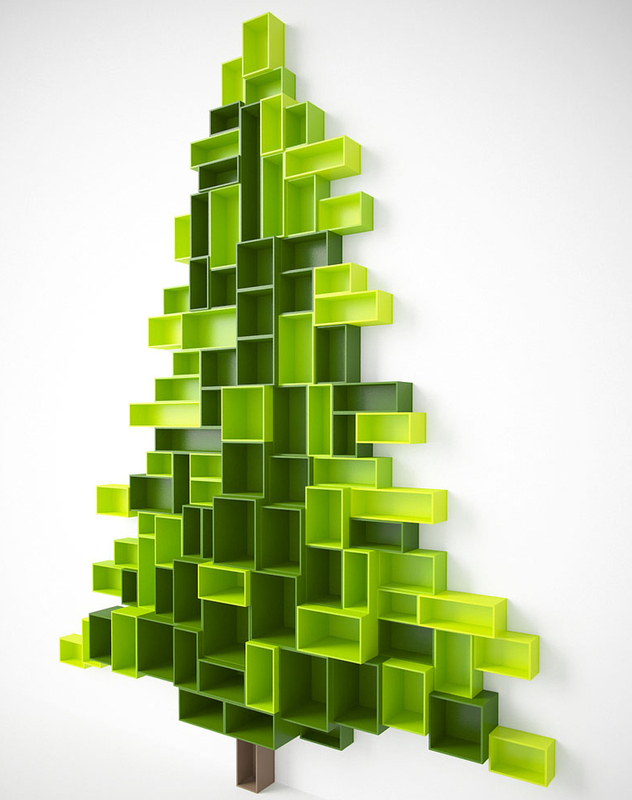 UPDATE: ‘Tis the season and all that and Cubit have just released another possible use for their modular shelves with this creative Christmas tree shaped configuration, complete with trunk and all. If you’re looking for other minimalist DIY Christmas decorations, check out our top 10 article. Where do we buy these from? Very interested in your products .. 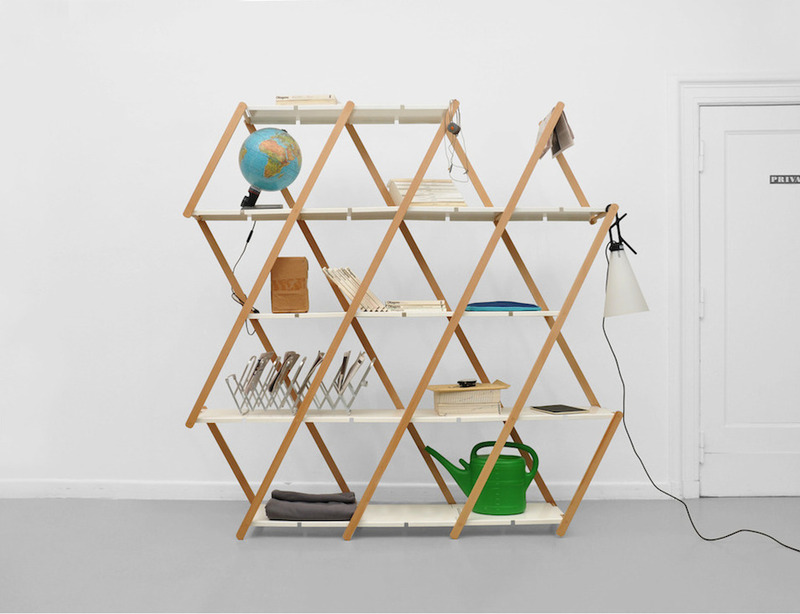 Unfortunately we’re just a design blog that features products such as the Cubit modular shelving but you can visit the actual Cubit shop by following the link in the article. Some of the designs we feature are just concepts and so aren’t actually for sale but if the items are available to buy then we always endeavour to like to the shop.